Pink diamonds are among the rarest of all the colors of diamonds, but some of them are even rarer than others. 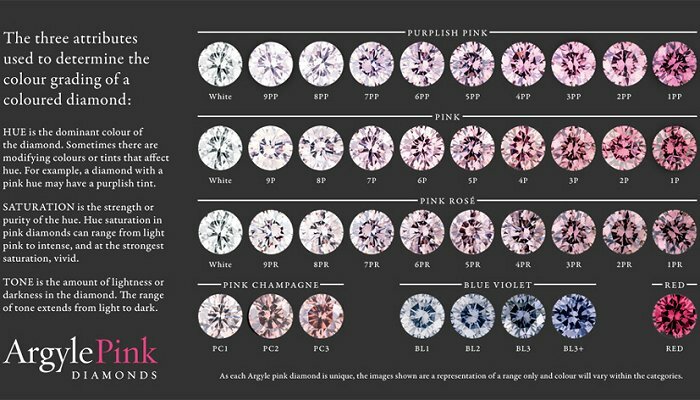 In general, colored diamonds with more intense and purer hues are more valuable, but size plays an important role as well. However, it really gets exciting when several rare traits appear in merely one stone. 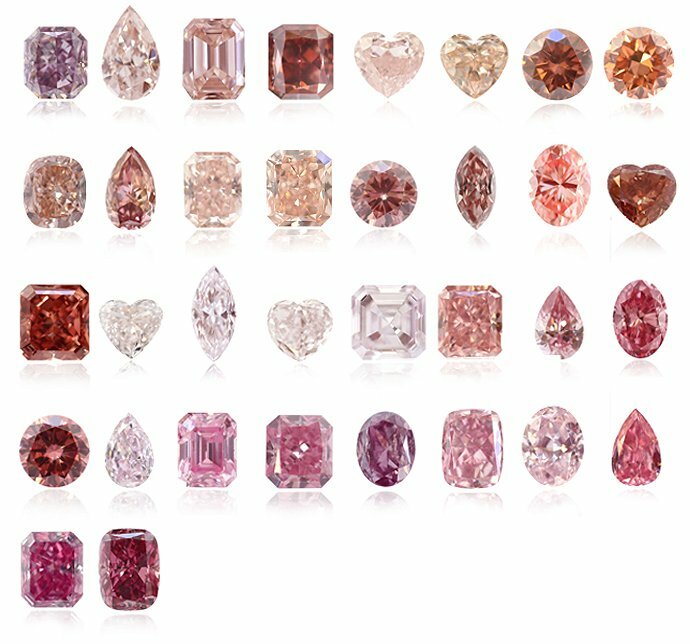 Here is a look at what are considered the rarest types of pink diamonds. Just like colorless diamonds, the larger sized colored diamonds tend to stick out and become the rarest of that specific type. With colored diamonds it is even more uncommon to come across very large stones, particularly with pink diamonds. Therefore stones exceeding 20 or so carats are generally quite rare. If these diamonds display an intense color, they are all the more rare. Some pink diamonds of certain shapes do not even have to be that large to make them rare. The Williamson Pink, which now sits upon the Queen of England’s brooch, is a round brilliant 23.6-carat flawless pink diamond. It is one of the largest round pink diamonds in the world, along with the Martian Pink. Another aspect that contributes to the rarity of a pink diamond is its color and color intensity. These are two separate factors. The former refers to the purity of the color. After all, a pink diamond can be a pure pink, but it can also contain traces of other hues. Ideally, a diamond should be as pure colored as possible. The second trait refers to the intensity of the color. Two diamonds can both display a pure pink color, but one can be a dark, intense pink, while the other can be a very light, pale pink. 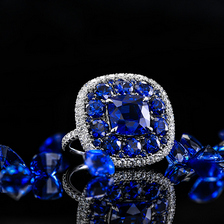 The more intense the color in a diamond, the rarer and the more valuable the diamond becomes. The Graff Pink, for instance, is only 24.78 carats but has a Fancy Intense Pink color intensity. This is the third to highest color intensity level available for pink diamonds. The Steinmetz Pink, which will likely replace the Graff Pink as the most expensive pink diamond ever to be sold at auction, has the best of both worlds. It is large, an impressive oval-shaped 59.6-carat stone, cut down from over 100 carats in the rough, and has a Fancy Vivid Pink color, the second to highest color intensity level there is. 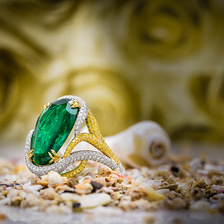 Most people who know anything about color diamonds vs. colorless diamonds know that despite the importance of clarity in diamonds, color is the most important factor for color diamonds. Though this fact remains true, it is always a contributing factor when a diamond is also internally flawless. 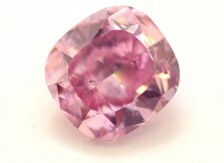 The Steinmetz Pink, in addition to being a very big and intensely colored stone, is also internally flawless. The Pink Orchid, a 22.84 purplish-pink diamond, the Pink Sunrise Diamond, and the Graff Pink Supreme, are all internally flawless diamonds. Aside from the first stone, which is certainly a groundbreaking diamond, the diamonds are not extraordinarily large or intensely colored. Rather, their superb clarity is their claim to fame. Diamonds are complex items, and when you add the color element, it only complicates things further. Ideally, a truly rare pink diamond is one with the best qualities across all spectrums, and though some do come along from time to time, there is usually one spectacular component that makes a pink stone rare. Such diamonds are hard to come by and are therefore highly sought after. Unbelievable sums of money are shelled out in these circumstances and it can be quite astonishing for how much a pink diamond will be valued. When it comes to rare color diamonds that speak directly to the woman’s heart – an automatic correlation is made with the Natural Pink Diamond. 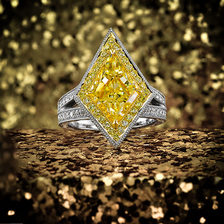 This passionate and extremely feminine colored stone has the second highest market demand next to Yellow Diamonds. Furthermore, now that certain colors such as Yellow and Pink have been making more of a mainstream appearance their beauty and mesmerizing appearance is admired worldwide by both diamond enthusiasts and the general public. Regardless of their origin, many Pink diamonds are extremely beautiful and have been used in couture jewelry designs for decades. However, along with their pleasant appearance, those of the Argyle diamond mine are also considered wise investment opportunities. 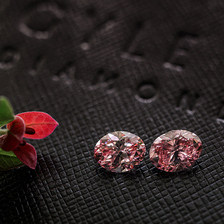 Josephine Johnson, manager of Rio Tinto's Argyle Pink Diamonds, said that they produce over 90% of the worlds Pink diamonds. Although, as a result of these diamonds being so rare, it isn't easy for even the most revered diamond retailers to get their hands on these stones. There are very few companies around the world, Leibish & Co. included, that hold a relatively large stock of Argyle Pink Diamonds. Furthermore, in comparison to their ‘regular’ inventory of Pink stones, the Argyle collections are usually far and few. There is no question that even though only a handful of their diamond production is Pink, the Argyle Diamond mine produces most Pink diamonds in the market today. Other diamond mines around the world, such as those found in Brazil, Africa, Russia, and Canada, have produced less, but also the colors are not always as strong. Argyle diamonds are recognized worldwide to have a more potent, or vivid colors. Reports have been written that state Argyle diamonds are known to be harder than diamonds mines elsewhere, but this is rather difficult to confirm. Above all, the value of an Argyle Diamond can sometimes reach double or even more than some that are strikingly similar, but known to have an origin of another mine. So what is so fantastic about Argyle diamonds, enough to make them so much more in demand than other pink stones? Well, their fantastic marketing power couldn't hurt! 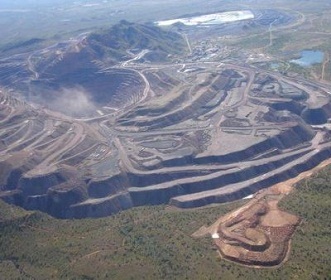 I ‘take my hat off’ to the Argyle mine for their impeccable marketing accomplishments over the past decade. The Argyle mine managed to brand their pink diamond name so well that having an Argyle certificate and inscription will almost double the value of an already expensive stone. They also hold an annual Argyle Pink Diamond Tender which is known to produce the finest stones available in the market and prices that reach hundreds of thousands of dollars for diamonds less than two carats. Furthermore, the Argyle Diamond mine developed their own pink diamond color grading scale that was quickly recognized worldwide. Specifically for a Pink diamond an Argyle certificate is considered just as prestigious than the well known GIA who grades millions of diamonds and precious stones each year. No one company can confirm with certainty that no other diamond mine will begin producing beautiful pinks in the future, but even if one was found today, it wouldn't take them approximately seven years until they were operational. What can be said with certainty is that as a result of fantastic marketing techniques and the magnificent material found, there is no doubt that Argyle Pink diamonds now retain the most value per carat.